With one in every six Irish workers earning a self-employed income, there was significant interest in how Budget 2017 would impact self-employed persons in the coming year. While many self-employed workers and advocates would argue that the budget didn’t do enough to level the playing field for tax breaks for self-employed versus PAYE workers, several important changes will improve the outlook for those filing self-employed tax returns for 2017. Most notable among the self-employed tax relief measures are the increased Earned Income Tax Credit, lower USC payments and expanded access to social benefits for self-employed persons. The combination of the higher tax credit and lower USC rates alone will equate to an increase of approximately 2% in take-home pay for many self-employed people. Depending on the amount a self-employed person earns, the savings could be significant. Introduced in 2016, the Earned Income Tax Credit offers tax relief for self-employed individuals and proprietary directors who are ineligible for the PAYE employee tax credit. Budget 2017 increased the amount of this self-employed tax benefit by €400, making it worth €950 to as many as 147,000 self-employed workers. While this total is still well less than the €1,650 employee tax credit, it’s a move in the right direction and a trend that will likely continue in the coming years. The Universal Social Charge (USC) was introduced in 2011 to replace the income levy and the health levy. The USC is payable on any gross income that exceeds €13,000 per year, whether a worker is self-employed or an employee, single or married. Once an income is more than €13,000 annually, you pay the Universal Social Charge on your full income. However, any payments from the Department of Social Protection, including Maternity Benefit and State pensions, are exempt from the USC. The USC is charged at standard rates for various income bands. Budget 2017 decreased the rates for the lowest three income bands by 0.5% each. 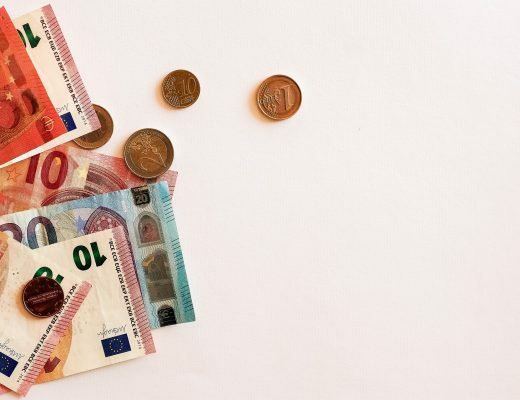 This deduction translates to a savings of €230 annually for someone earning €45,000, up to a maximum gain of €353, benefitting anyone earning €70,000 or more. Depending on your self-employed, business or family situation, other specific changes in the 2017 budget could further impact your self-employed tax return or self-employed tax benefits. For example, the Start Your Own Business scheme has been extended for two years, running through 2018, which exempts qualifying entrepreneurs from income tax up to a maximum of €40,000 per year for a period of two years. To find out more about how the 2017 budget and tax changes will impact your take-home income or self-employed income tax liability, contact the specialists at taxreturnplus.ie on 059 8673894 or get a quote today. With more than 25 years of experience in the area of self-employment tax, our affordable service is private and confidential, providing you with the peace of mind to get on with what really matters to you in your business.